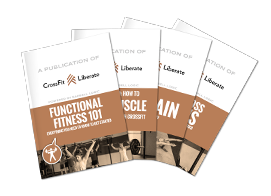 CrossFit Liberate | What's your 'Why'? “10 seconds!”, the coach shouts at the class over the music. That’s when the jitters hit. The nervous thoughts of “What am I about to do? Why in the hell am I about to put myself through this?” If you’ve been doing CrossFit or competing in sport for long, you probably know these thoughts all too well. I’ve been doing CrossFit for 6 years, and these thoughts manage to creep in right before a lot of workouts. I believe it’s the mind’s way of trying to save you from the physical pain you’re about to put your body through, and I believe that if you don’t have a strong enough “why” for what you’re doing, the thoughts will win. That’s what I want to talk about in this article: finding your own personal “why” for what we put ourselves through. Because, let’s be honest here, we are all just a little bit nutty for choosing this particular path to being better, fitter people. Torn hands, scraped shins, bruised collar bones, sore muscles, and lying on the floor gasping for air are just a few CrossFit byproducts. Being secure in your own mind about your path on this journey will help justify them. So why are you here and what keeps you coming back every day? Yes, the most common goals are to get fit and look good. But I’m asking you to look deeper than that. Really think about it: what are some other reasons that these “constantly varied, functional movements, performed at high intensity” are the right path for you? Do you have kids that you want to be able to keep up with? Would you like to run a race, climb a mountain, bike for miles, learn a new sport, excel at an existing one, sit up straight at work, or just be able to sit and stand confidently as age begins to take hold? The list goes on and is seemingly endless. What a cool thing to consider! These are the thoughts and goals that I feel are often left at the door of the gym as most become a little too concerned with “fitness for fitness’ sake.” Don’t get me wrong: that’s a great reason to be in the gym, but it doesn’t apply to everyone. 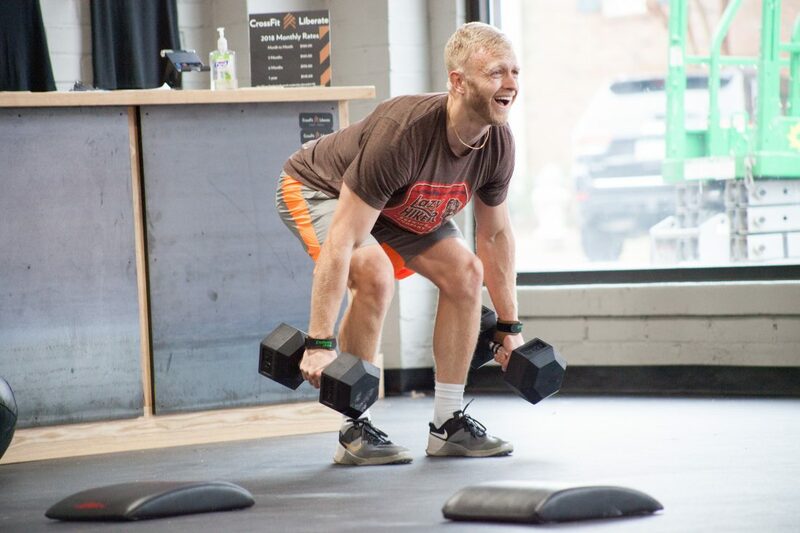 My job as your coach is to teach you and challenge you physically, of course, but I also want to challenge you all to apply your fitness to your life outside the gym. To do that, I believe it’s best to really figure out the reason(s) why you take the step to go to class and endure our brand of recommended suffering. I’d love to share some of my “why” with you all. Maybe to shed some light on how I tick, or just to confirm for you that I’m a nut. Keeping my fitness at my upper level helps me to be prepared for most anything life decides to throw at me. 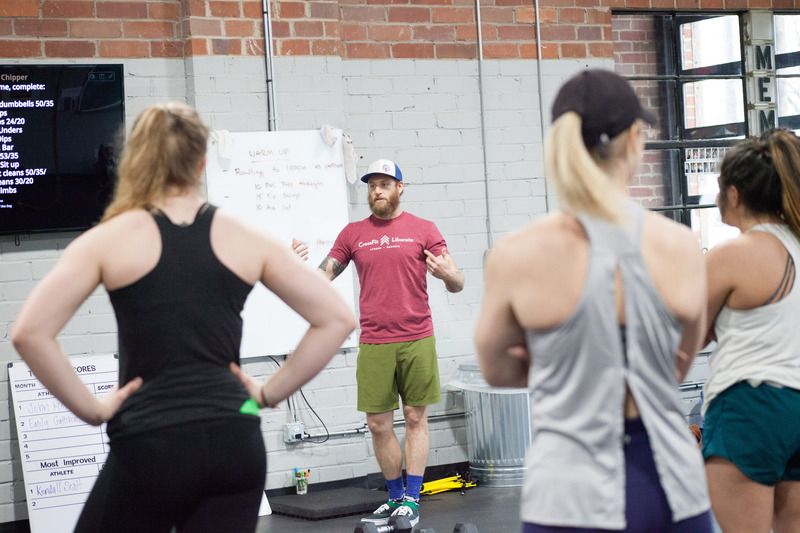 I’ve had many different professions during my time as a CrossFit coach and athlete, and I’ve always noticed the advantage that this training method has given me. When I was doing carpentry full time, I saw the results in being able to work overhead for a longer period with greater strength and stability. As an arborist and tree climber, the physical demands of running a chainsaw in a tree are quite high. Doing the proper training in the gym has given me the core and muscular strength to put myself into safe and effective positions so that I can complete my tasks while better managing injury risk. On more of the fun side, I’m also able to participate in almost any outdoor activity that’s presented to me, which is where my biggest passions live. These and many more are situations where I’ve called upon my prepared fitness to help me be successful. These are the things I think about in the middle of those “terrible” workouts where I feel like quitting and walking away. Yes, I absolutely have those thoughts regularly, usually with some expletives tossed in there, too. So this is my challenge to you as you travel the road of CrossFit and fitness. Find those reasons that keep you motivated through the hardest physical strife. Build up your mental strength to compliment your physical strength. Holding fast to those reasons will help you push through the rough days of training when your body feels like it’s filled with cement and just won’t move. To borrow a phrase from the Special Forces community that has helped me immensely over the years: “Your body is going to tell you it can’t go any farther, that it’s weak. This is where your mind tells it that you’re strong” Please feel free to share your “why” with me or any of us at the gym. That way, we can all help each other. Thanks for reading, and I’ll see you in the gym!